A variation on the much-loved carrot cake, this recipe is easy to make, even if you are not used to baking. 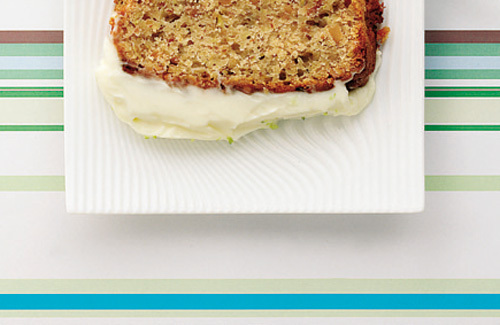 Until recently, carrot cake was somewhat derided here in the UK. It had a hippy-dippy image, and was associated with health food shops with clunky wooden furniture, and the tie dye-and-sandal wearing brigade (who makes up all these stereotypes anyway?). I guess, on the whole, people’s tastes were pretty conventional and they were wary of doing something as wacky as putting vegetables in their cake! Then something changed. Either it’s because we started becoming more health-conscious, or maybe everyone simply woke up to the delights of fragrant, earthy carrot cake en masse, I don’t know – but if you ask anybody in the UK now what their favourite type of cake is, chances are they’ll say ‘carrot cake’. All of a sudden, it’s the nation’s darling. I have added courgettes (zucchini to American readers) to make it even healthier and more colourful. Serves 6. 1. Pre-heat the oven to 180 degrees C/ fan oven to 160 degrees C/ or gas mark 4. Line a medium cake tin with greaseproof paper and grease the surfaces evenly on all sides. 2. In a bowl, mix together the sugar with the oil and whisk. Add the eggs one at a time, whisking after each egg. 3. Sift the flour into the bowl, then fold it in gently, taking care not to over-stir. 4. Add the carrots, courgettes, sultanas, honey and spices, and fold them into the mixture. 5. Pour the mixture into a cake tin and level the surface with the back of a palette knife. Bake in the oven for 40 minutes until well-risen and golden brown. Set aside to cool in the cake tin. 6. Meanwhile, mix the butter and cream cheese in a bowl until fluffy. Add the sugar and orange zest, and mix thoroughly. 7. When the cake has cooled, remove from the tin, and slather over the icing, spreading it evenly. 8. Cut into 6 wedges or 12 squares, and serve warm or at room temperature.